The blessings and challenges that the last years have been bringing to us are reaching a cusp. The year to come, 2+0+1+4=7 brings us to a relation with our self in action. 2013 was a year of pause, with many things waiting for a better time and some other structures colliding because of their instability or suspicious grounds. All those structures which are built on the sand have been shaking, and a global awareness has hit far more consciousnesses than ever before. 2013 was about shedding old skin. 2014 is about making the new skin. This new skin has to be built upon higher values: those of transparency and connection to the Essence in all. Without higher values, old structures will continue to fall and the intention behind new castles built on air will be naked and visible to all. 2014 is a year of visibility, shining light upon the darkest corners which if by the end of 2013 have not been cleared they will be put on the spotlight. 2014 brings us movement and action, yet it is an action which needs to be grounded on high principles of respect, transparency, equality and most importantly forgiveness. 7 has been a number related to kings and those who had the privilege to become the stairways to God. It is an illusion (or a reflection) of God, where 3+4 meet (3 the triangle, the trinity, the God) and 4 (the rectangle, the human world, the home). 7 is a number which is often assigned to the archetype of the architect as the creator of worlds in this world (his role in this play of Maya is to act like God, yet unfortunately the other (karmic) side of the polarity is the self-centric puppet). 7 relates to the Body of Aura, which is that electromagnetic field of light surrounding every body. In this way, perception of intention becomes transparent, the more we can learn to become subtle and quiet the mind. Number 7 and the Aura are outward numbers, in which the sensitivity of the person projects outward, into the environments and surroundings. This reflects the fact that we cannot life only on our inner world but we need to continuously reprogram our habits and the way we communicate with others. At the same time the Auric Body relates to the Navel Point (3), which needs to become strong in order to radiate and project with a strong Aura. That means lots of Breath of Fire and strenghtening of the navel point. Yet there is a deeper aspect to this number. The last two digits of the year (1+4), remind us that there must always be a connection to the soul, in whatever action we take. Consciousness must remain focused on the intention otherwise the projection of the Navel and the Aura will explode into dispersion. A lot of explosions and uncontrolled (or conscious) bursts we will see this year in all levels – cosmic, mental, emotional, psychological, cellular level. There will be a lot of energy to be used yet we must be very careful to always ground it in consciouness. Asking questions like “what is the intention behind every one of my actions?” or “where am I acting from?” will be critical this year. And because of this, we will all receive attacks (which a strong Aura can filter) in every level, we need to be also very conscious of our reaction. Instead of REacting, we need to Act- to be aware of where we are standing and act without reacting, acting from a point of Dharma and not reacting creating more Karma. This will save our skins, our planet, our energy from entering into a vicious cycle of demotion. And because of all these reactions, the keyword for 2014 is Forgiveness- To truly and completely accept the others’ purity of the soul as one with mine, in spite of their actions. That does not mean not acting, just not reacting. That means to be kind to every single creature which crosses your life, kindness is true forgiveness. The other side of forgiveness is the ego- I,I,I which will not bring you forward but will only dig your hole deeper. Forgiving means expanding your self and your healing energy, it means covering up for the other, it means embracing that which is shouting for your help through anger because he does not know any other way. It means being there for each other. It means staying true to your self and soul and keeping a good relation to your higher values. A good new year resolution is to reconsider those values, and maybe start your ladder by humility and building up to forgiveness (I suggest you come up with one-word substantives which make up your highest principles in-and beyond-life). 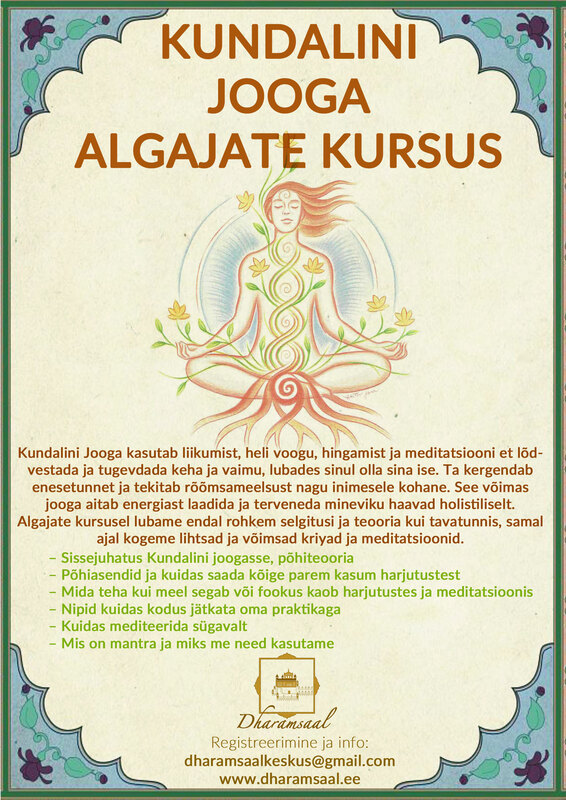 We will start a 40-day meditation on January 3rd 2014 (in Tallinn, Estonia, place and time here) relating to these aspects of humility, acceptance, responsibility, grace, forgiveness and strenghtening of the Auric Body. I invite all to join us, wherever you are, to practice this with us. The meditation can be learnt and practiced along with this (below) beautiful video of Snatam Kaur and Sopurkh Singh. The PDF of the meditation can be found here. Blessings and prosperity of consciousness in each and every one! Are you joining us for the 40day meditation? Feel free to comment below!